How to erase search history on iPhone? In order to help you solve this problem, this tutorial is aimed to give you a method. Let's get it started! 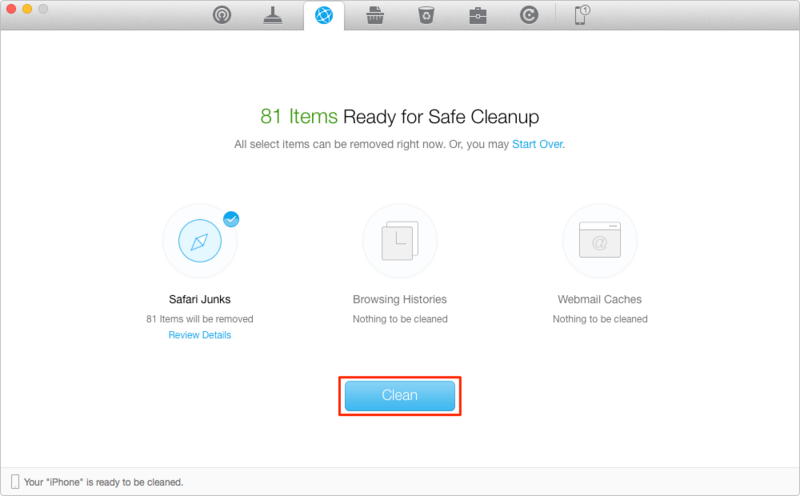 PhoneClean is an award-winning program to aid you to delete search history on iPhone. Please read this guide to know the process. Nowadays people tend to use a search engine to find the information they want to know. But our search history could still remain on our browser like iPhone built-in Safari. Absolutely, we don't want other to find out what we have searched, which may refer to some sensitive problems. We need to delete our search history on iPhone from time to time, to protect our privacy. How to erase search history on iPhone? Please read this guide to know the details. PhoneClean is an all-around cleaning tool to reclaim up more space on iPhone and clear search history on iPhone in case of leaking by chance. 1. 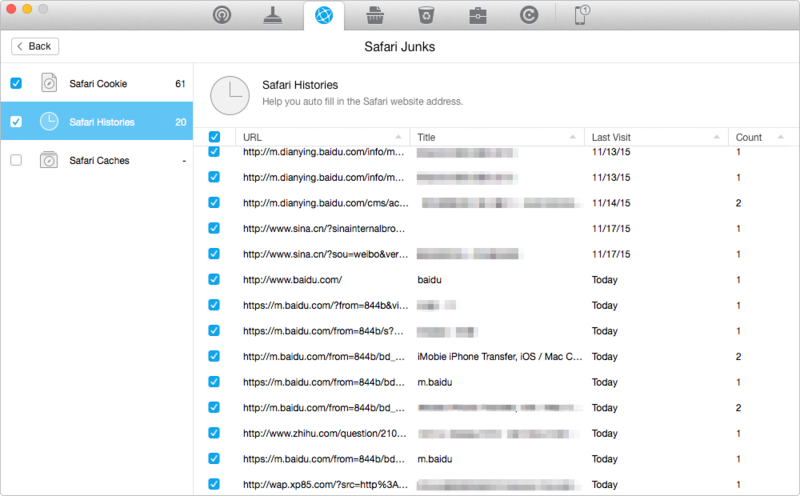 Supports cleaning the unwanted junk files and privacy like search history of browser history or Safari history, messages, call history etc. 2. Supports detecting deep and striking out the unwanted content to improve the performance of iPhone and protect the private data from leaking like search history . 3. Let the user restore the data they want by creating backups which is well organized by it. Why not give a shot on it now? 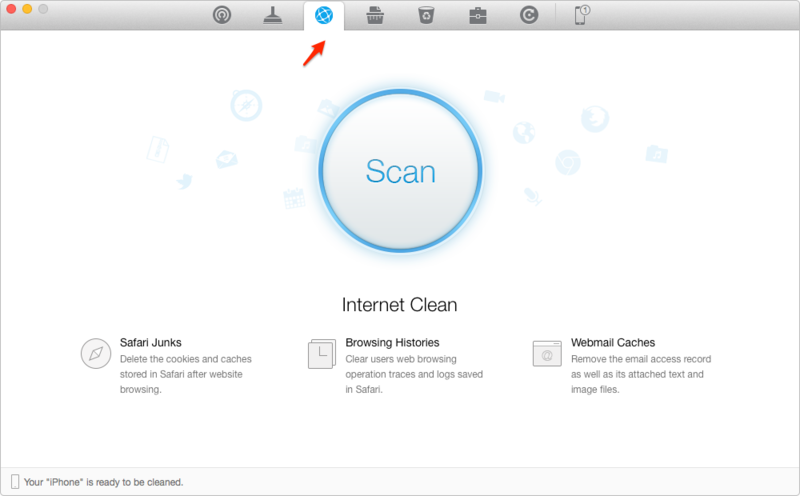 Step 1: Download PhoneClean and launch it > Connect your iPhone to computer > Click on Internet Clean on the homepage > Tap Scan button. Step 2: Select the content you want to delete > Click on Review Details to view the Safari history on your iPhone > Choose the items you want to delete > Back to the result page. Step 3: Click on Clean button to clear the search history.